Ph.D. students in the Creative Writing Program at the University of Georgia present a reading by poet Ronaldo Wilson on Tuesday, October 16th. The Georgia Review is pleased to help sponsor this event, which will take place at Ciné (234 W Hancock Ave, Athens, GA 30601) from 7-9 p.m. and is free and open to the public. 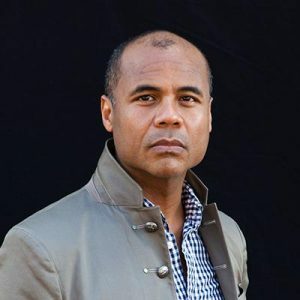 Wilson is the author of the cross-genre collection Farther Traveler (Counterpath Press, 2015); Poems of the Black Object (Futurepoem Books, 2009), winner of the Asian American Literary Award in Poetry and the Thom Gunn Award for Gay Poetry; and Narrative of the Life of the Brown Boy and the White Man (University of Pittsburgh, 2008), winner of the 2007 Cave Canem Poetry Prize. Wilson is an Associate Professor in the Literature Department and Creative Writing Program at UC Santa Cruz. For more information you can visit the event page on Facebook here: Poet Ronaldo Wilson to Read at UGA.